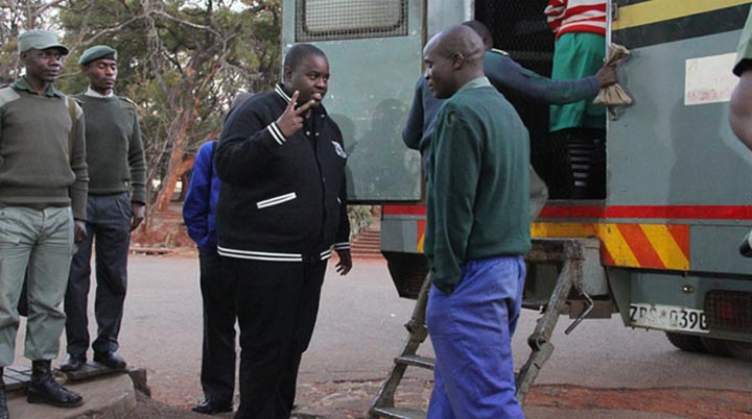 Wicknell Chivayo has applied for discharge at the close of the state case in the matter in which he is jointly charged with Genius Kadungure for allegedly defrauding Dexter Nduna, Enoch Gatawa and Ivon Gatawa of approximately R1.6 million. The matter is being handled by Harare magistrate Mr Morgen Nemadire. Meanwhile, the trial for MDC Alliance Senator Morgen Komichi facing charges of disrupting and interfering with the announcement of election results will now proceed on the first of November after the defence counsel requested for further particulars. In the application for discharge at the close of the state case lodged by Chivayo through Advocate Lewis Uriri under the instructions of Wilson Manase, he contends that from the evidence led by the state it emerged clearly that he never spoke to the complainants, Nduna, Enoch and Ivon Gatawa. He added that he therefore never made any misrepresentations with the intention to defraud the complainants of the R1.6 million in question as even the complainants themselves testified his innocence. Owing to these and other reasons Chivayo prays for acquittal said his lawyer Mr Manase. In a related development Chivayo has also lodged an application for exception to the charges of fraud and violation of the exchange control act in the highly publicised Gwanda solar power project deal. In the papers filed of record Chivayo and Intratek Private Limited contend the facts alleged in the charge do not disclose the offence as all the charges emanate from an engineering, procurement contract regulated by statute with its own terms of enforcement and remedies for conduct that do not comply with the agreed terms. Meanwhile, Kadungure through his lawyer Mr Jonathan Samukange has notified the court he will be lodging his application for discharge in the fraud trial next week. In another matter at Harare magistrates court Komichi's trial in which he is accused of violation of the electoral act by interrupting the announcement of the 2018 harmonised election results has been further postponed by Harare magistrate Elisha Singano to the 1st of November after Komichi's lawyer Mr Obey Shava requested for further particulars. Chief law officer Michael Reza strongly opposed the application for admission of further particulars among them V11 forms for the announced presidential results saying they had no basis on Komichi's charges. Komichi once served community service having been convicted on charges of violating the Electoral Act.